Patrick Jouin is a designer. His creativity is as evident in his industrial designs as it is in his decorative artworks. He is a graduate of ENSCI-Les Ateliers. 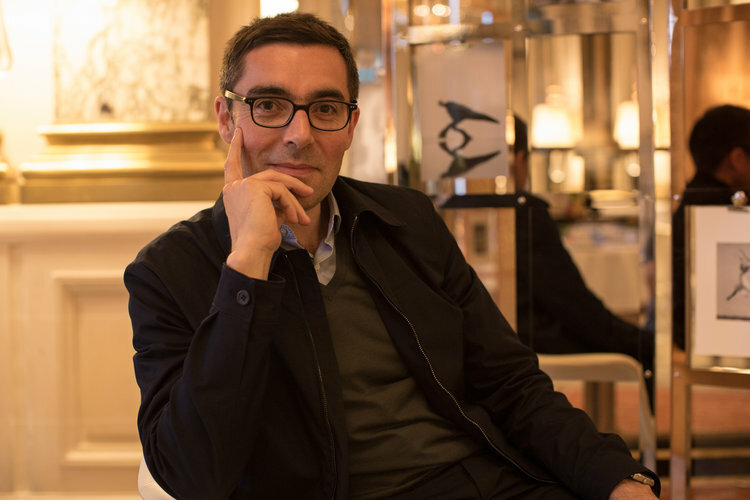 Having collaborated with some of the biggest names to create outstanding projects – Pedrali, FIAM, Busnelli, Cassina, Kartell, Alessi, Puiforcat, JC Decaux and Fermob – he has carved out a place like no other on the international design scene, where he is effortlessly yet forcefully developing his talents. In 2009, the Centre Pompidou dedicated an exhibition to his career thus far and in 2011 his design company, Patrick Jouin ID, won the Compasso d’Oro prize for its Pasta Pot work. Several of his creations are already included in museums’ permanent collections, such as Solid, which is now at MOMA. Patrick also works on interior design projects with his associate Sanjit Manku as part of the Jouin Manku company they formed in 2006.